The ‘Allstream’ range of bespoke turbines encompasses all those projects that do not fit within our ‘Mainstream’ modular range or within our ‘Powerstream’ water-motor range. These projects are either large enough to warrant a special design or require original innovations. For projects with outputs over 50 kW and up to 1500 kW we would offer a ‘bespoke design’ because even small improvements in performance gained by matching the site exactly, will pay for themselves is a very short time. 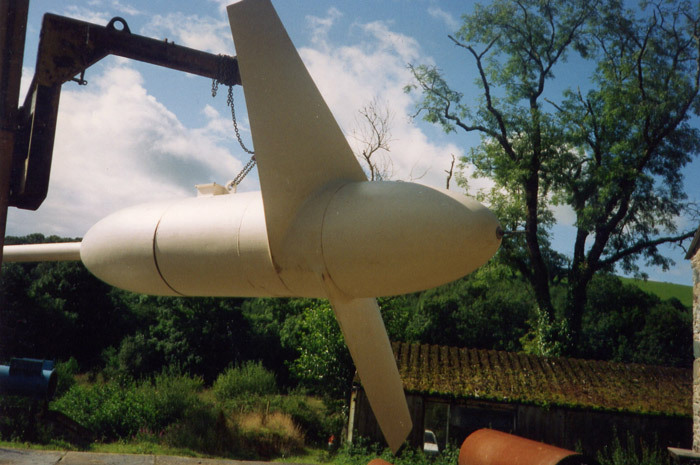 Evans Engineering is one of the few companies that can design and manufacture one-off turbines for unusual or research projects. Listed below are some of the many different projects that we have handled over the last 35 years. Above is a win runnert Pelton turbine rated at 1MW and operating on 78 metres of head. Above is a vertical shaft two jet Pelton turbine rated at 200 kWe and operating on 60 metres of head. 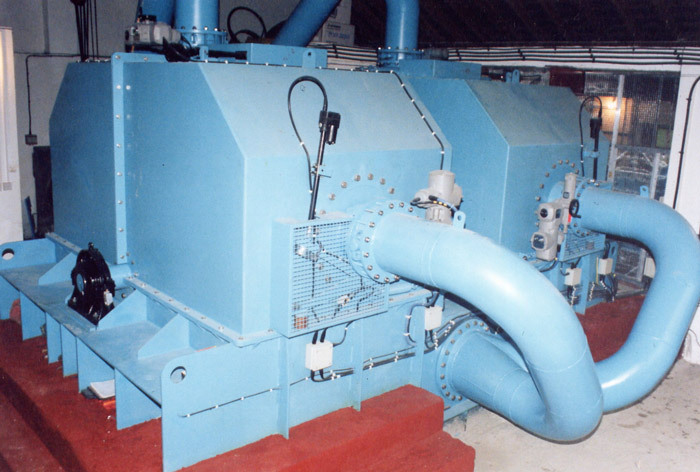 Above is a horizontal shaft three jet Pelton turbine with a 400 kVA induction generator. 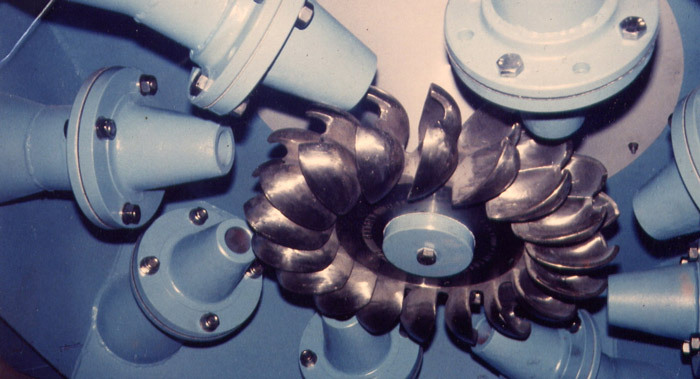 Above is a vertical shaft eight jet Pelton turbine for a low head variable flow application. 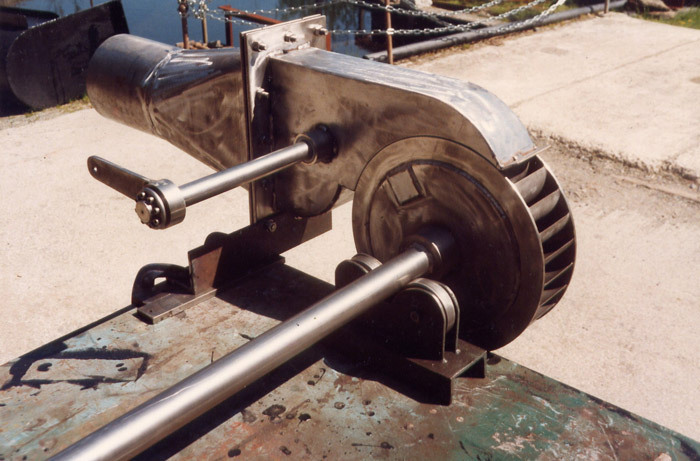 Above is a horizontal shaft single spear-jet Pelton turbine for a water treatment works. 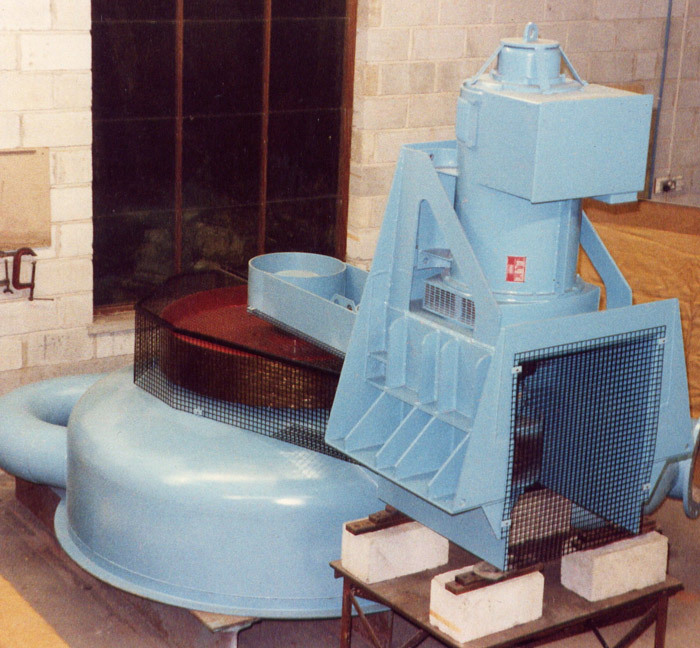 Above is a cross-flow turbine rated at 150 kW on an operating head of 42 metres. By its nature this is an area that is undefined and often associated with an R & D or restoration project. THE OPERATING HEAD has ranged from the first 'Tidal Stream Turbine' in the UK where the kinetic head is less than half a metre, to a record 1000 metres of head for a batch of small turbines for offshore applications in the Middle East. 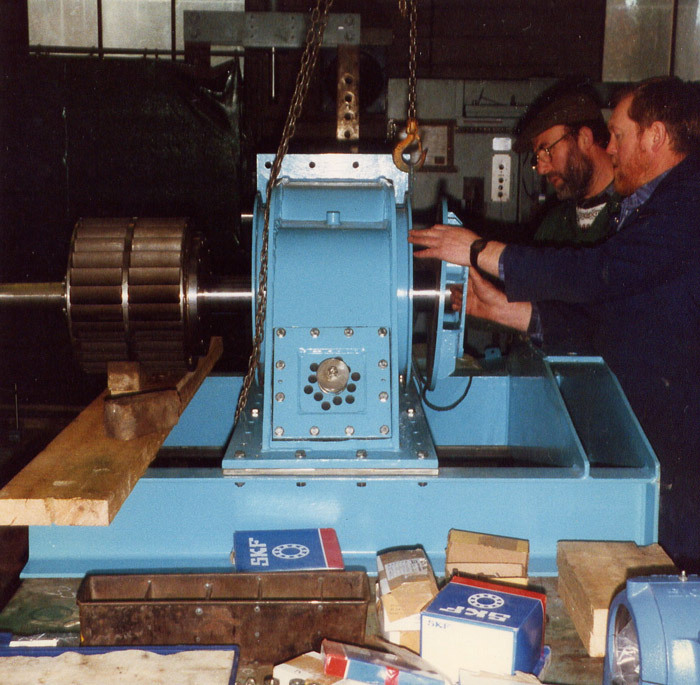 Above is a 3.5 metre diameter tidal stream turbine with cast aluminium blades and submersible generator. THE SIZE OF TURBINE has ranged from a minute 12 mm diameter to the 3.5 metre turbine above that is a model of the real thing at 15 metres. 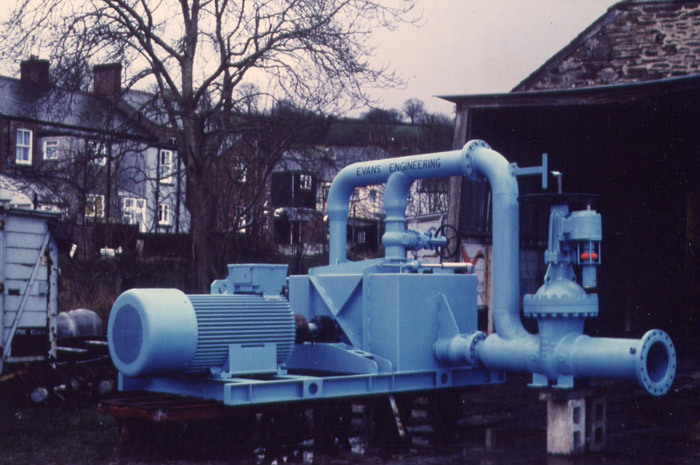 A SELECTION OF TURBINES manufactured to customers specific requirements are shown below. 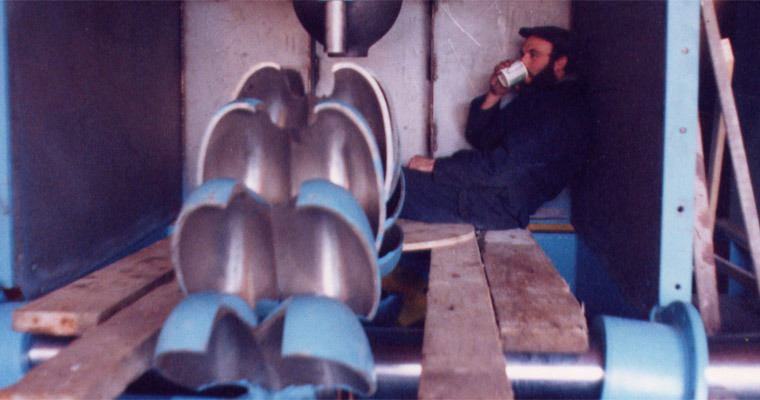 Above is a stainless steel open cross-flow turbine for a wave energy system operating on seawater. 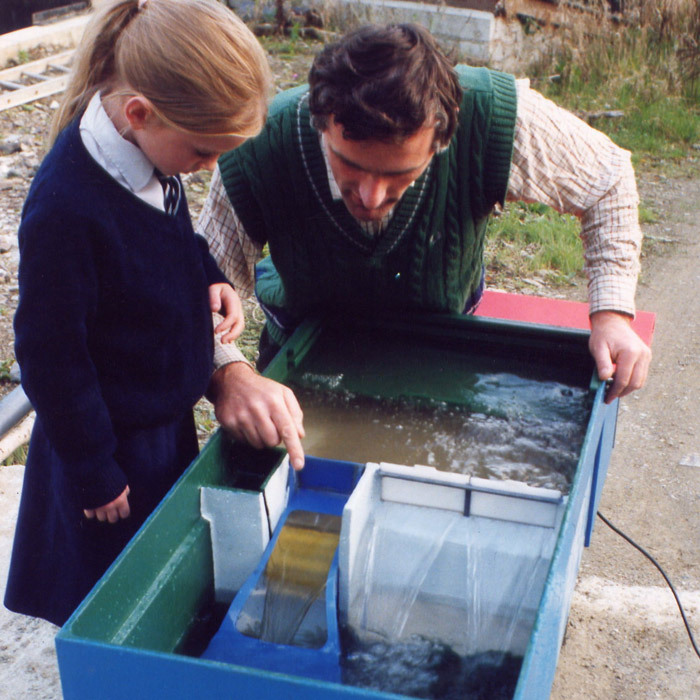 Above is a working demonstration model of a 'Darrius' turbine built for a developer.